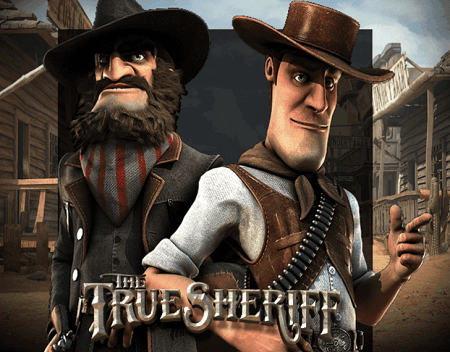 The True Sheriff is a wild west themed online pokies games that is filled with action and great features. Graphics on the game are unique and animate in an exciting way when there is a winning combination. The True Sheriff is a five reels pokies game with three rows and 30 paylines. With this Betsoft casino game, you stand a chance of winning up to 75 000 coins when playing in the bonus round feature. Read on for more game and exciting features. Packed with a lot of great features, The True Sheriff pokies game is available to play for fun and real money at the best Australian casino sites. See the features below and how they can improve your winning chances. The wild symbol is the gun and when five lands on the reels the sheriff will shoot some of the tiles on the reels turning them into wild symbols. If the gun lands on the center reel the sheriff will shoot the reels five times turning the tiles into wilds. 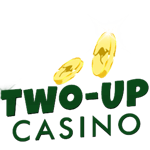 When the sheriff, the gun and the bad guy land on the reels consecutively on active paylines on reels one, two and three, the showdown bonus will be activated. In this round, you will play a game of heads or tails. Each win will move up in levels until the top prize. The symbols can also land in reverse, and they will still trigger the bonus round. 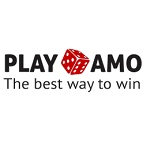 After each winning combination, there is the option to double your winnings. Click the Double Up button, and the card game will be loaded. In this round, you have to choose whether the next card that will be dealt with will be red or black. The scatter is the badge and when triggered will award 15 free spins. Land three or more of the badge on consecutive reels. 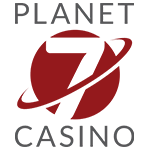 However, depending on the number of free spins you land on the reels your free spins will differ. 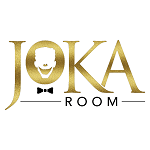 Three badges award ten free spins; four badges grant 12 free spins and five badges award 15 free spins. Betsoft has produced a fun pokies game with features that make the game that more exciting. 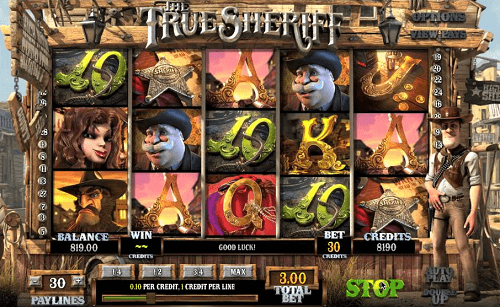 The True Sheriff pokies game has an RTP of 97.03% which means that you will get most of your winnings. 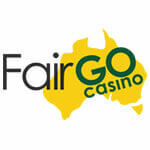 Find this game at the best Betsoft casinos that accept Australians and sign up to play today!